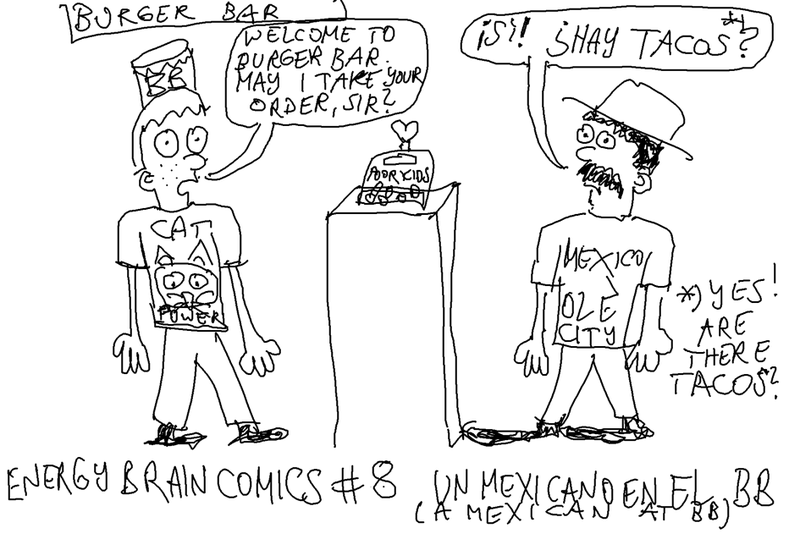 This is the first comic to feature Burger Bar and its premium employee, James Nigel “Jimmy” Nesbitt aka. Pimple Faced Teen. Previous Previous post: Energy Brain Comics #7: Heroes, Inc.